Ride cancelled this year due to lack of interest. Meet Twickenham Station before 10.05 to catch the 10.15 to Staines. 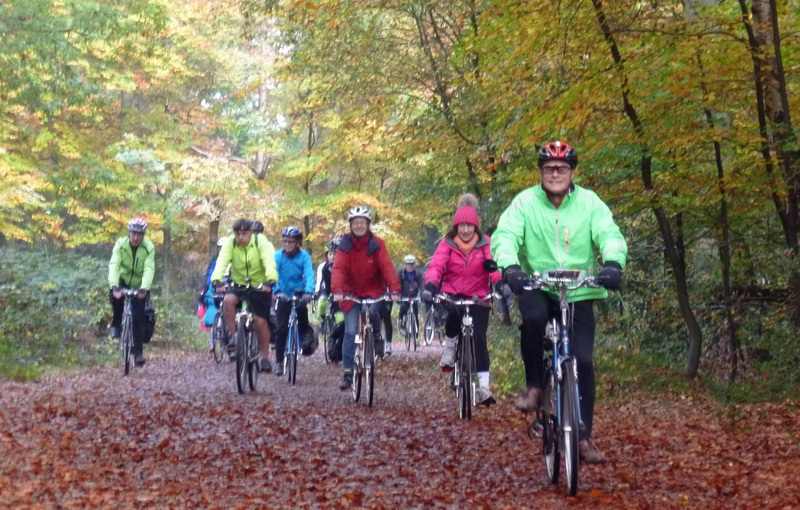 (arr 10.30) We cycle through Staines Moor then via Colnbrook , through Langley Park and past Black Park to the woodlands of Burnham Beeches in their autumnal splendour. After lunch in a woodland cafe we head down to the Jubilee River path which takes us to Datchet and so back to Staines. About 30 miles mostly tarmac with some smooth gravel paths. Quite scenic / hilly. 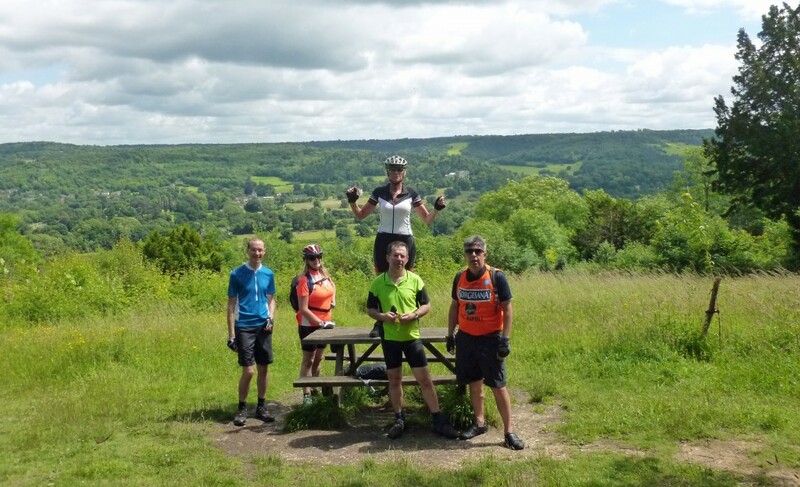 NB ride will be cancelled if it is wet – lunch spot is not roofed ! This is a summary of key recent items. 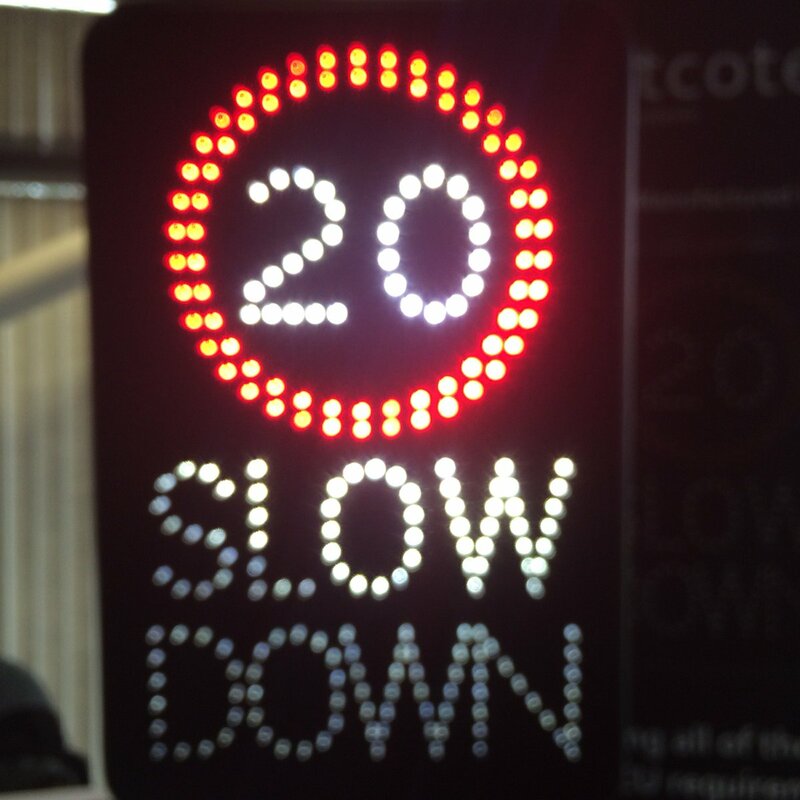 The purpose of the meeting was to look at other ideas and suggestions for how we could make the town centre better, and focussed on the dominance of motor traffic in the area. A number of ideas were discussed around placemaking, and helping pedestrians and cyclists get around, and low emissions delivery and other goods delivery strategies were mentioned. Data from the consultants showed that the overwhelming majority of ‘traffic’ in the town centre area is pedestrian, with just 1% measured as people cycling. Representations were made by a Richmond Green supporter, who took the view that the green should not be used for rat-running, or through traffic. The next steps are the sharing of the reports, and for the council to look at some of the smaller and larger proposals that were discussed. I can’t recall exactly what was agreed, but we asked that the council progress with bike parking as a matter of some urgency. There was discussion which linked general bike parking with overnight (Cyclehoop) bike parking, but these are different. 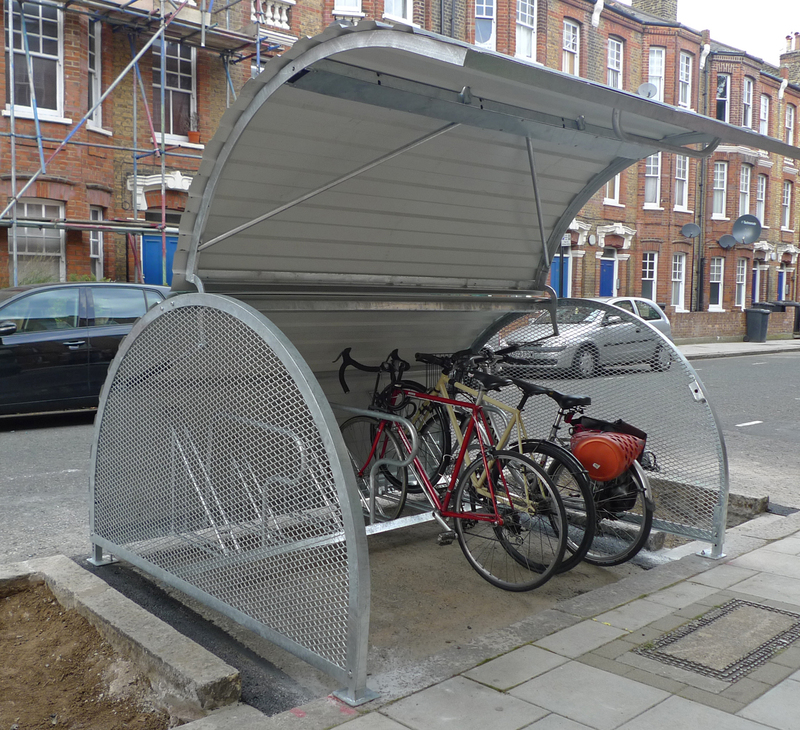 It still isn’t clear when they will get on with installing another cycle hangar, but officers asked us to share the ‘spade ready’ scheme we mentioned. The council is dragging its heels on the subject of cycle hangars because they think them ugly, but they have failed to propose any alternatives, thus far. They agreed to look at more cycle parking, but again there were fine words about ‘making it fit into the urban space it is in. We also pressed on the cycling contraflows – it sounds like the council will update us reasonably quickly with where these are. We submitted our page of quick win proposals from the website, and officers undertook to provide feedback. It could be worth setting this page up to be more manageable by the group as a whole. We didn’t have anything immediately to add here, but drew everyone’s attention to the new City of London strategy. This is a general transport strategy which includes walking as a primary mode. We discussed how the group should operate. It is currently planned to meet quarterly, but we argued that more schemes need eyes on them at an earlier stage. We discussed that there are two separate needs – looking at what has been proposed before it is too late to change things, and helping to set a wider strategy for the borough. The quietway work will begin in December, and run until the middle of 2019. No substantial changes from the last plans have been made, but the council was asked to re-consider the Lock Road design, as a minimum. Sustrans attended, with a quietway manager, and someone who is working with schools on pilot walking and cycling projects. The council thinks that just 40% of schools actually have a school travel plan. 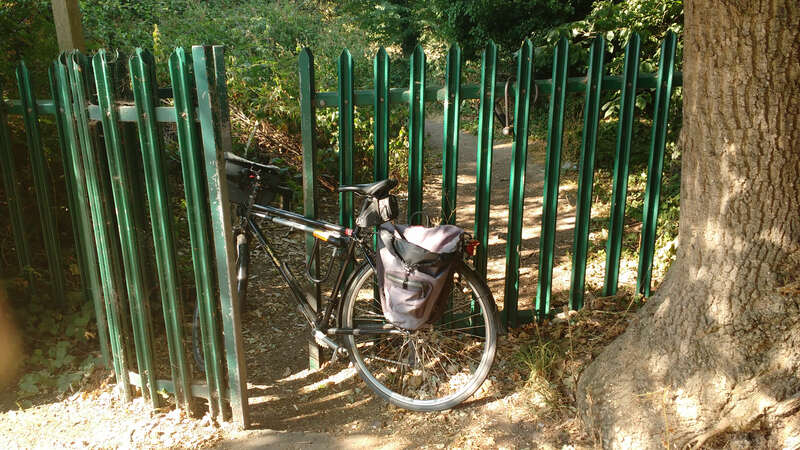 The Richmond Park quietway is still going to have gates which are not usable by anyone without a strong arm and a small bike. We probably need to agree a group position on this. At Waltham Forest, Dan pointed out how they have a clear strategy that brings everything together, and which allows officers and campaigners to look at the list and say “What’s next?” and then just pull something straight out of the plan. The City of London has somewhat changed the goal posts with its new document – this includes all modes in one overall plan. I personally really like this, but it’ll take us nearly 2 years from a standing start, especially as the City document includes lots of consultation, too. We’ve now visited Waltham Forest with two separate groups, including the cycling champion, leader of the council, members from every party, and officers. I did a tweet thread. There is a consultation to ‘call for evidence’ on a new walking and cycling bridge over the Thames: https://haveyoursay.citizenspace.com/richmondecs/thames-bridge/consult_view/ There is a PDF paper which discusses what the council has worked out so far. There’s no budget, and no immediate plan to do anything – it feels like a project which will need a champion, if it’s to get off the ground, although it would be amazing to link it to the Ham and Petersham Liveable Neighbourhoods bid. I’m told the A310 has money allocated for 19/20 and 20/21, as does the A308 but there are no plans as of yet. Council will be doing some towpath repaving this year, suspected to be between Teddington Lock to Richmond through Ham. This is a working list of potential ‘quick wins’ in the borough that we’d like to ask them for. Sort out the path under Kingston Bridge. Just a dropped kerb would be a step forwards. More cycle parking at Kew Gardens Station Apparently delayed while there is re-consultation on this – we’d like to know when this is likely to be looked at. 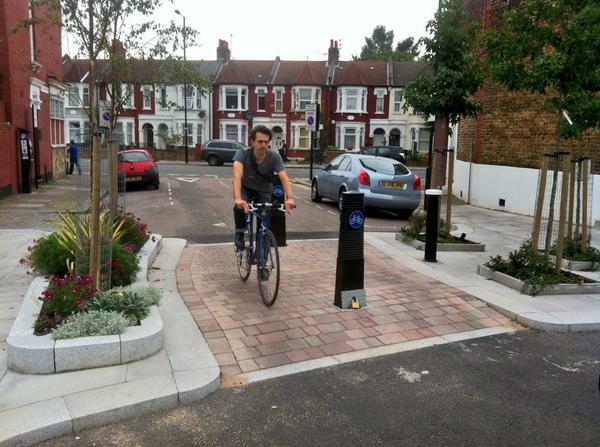 “A few more bike stands in residential streets? 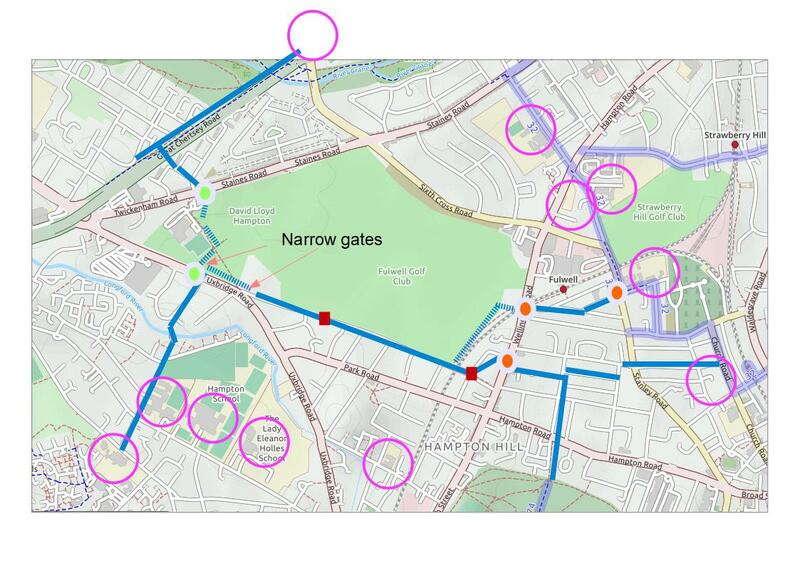 There are 6 bikes attached to the same lamp posts in my neighbouring street – people in flats need space to keep their bikes” We understand that on-street bike storage is being investigated, and we’d like to know what the status of this is. An audit of how many bike stands (& state of repair) each primary & secondary school has All schools should have enough parking for their children to get to school and be able to park their bike in a sheltered, safe location. More traffic warden presence at school drop off & pick up At a number of schools in the borough there are regular complaints around parking and safety – there are longer term strategies available, but using the available rules is also essential. Upgrade guidance and enforce its use around how works of all types are signed in the borough. 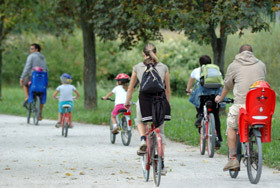 Both walking and cycling must be maintained at any changes. Send positive messages about cyclists in advertising and social media. All council publications and materials should review carefully how we talk about cycling (and walking). 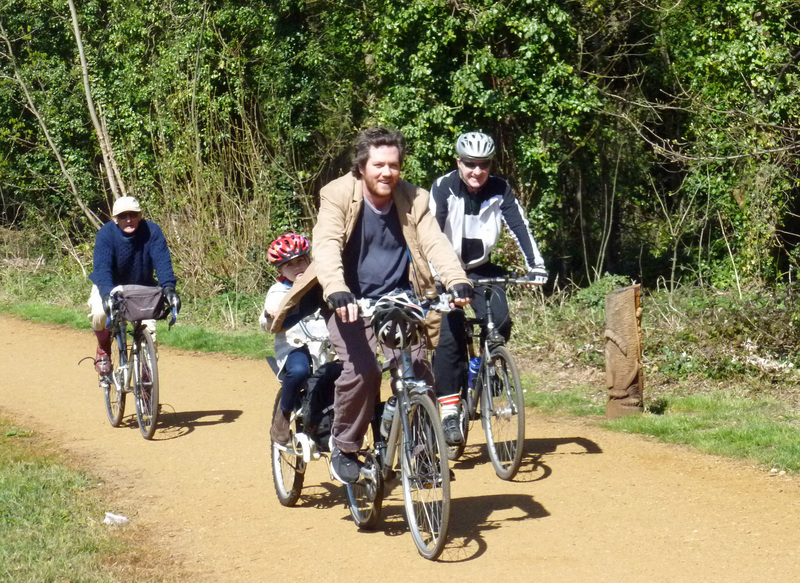 When we show people on bikes, there should be a wide range to show how many people use bikes and what they use them for – cycling in Richmond is not all people pacing it round Richmond Park! Introduce ASLs at triangular traffic lights in centre of Richmond. George st/ Duke st.
Introduce access to ASL where ever possible Many Advanced Stop Lines in the borough are very hard to access – it should be clear and safe how to reach these. Crown Road , St Margaret’s will be closed to traffic so we have an easy afternoon ride starting from there at 2pm. Meet at the Richmond Council display. 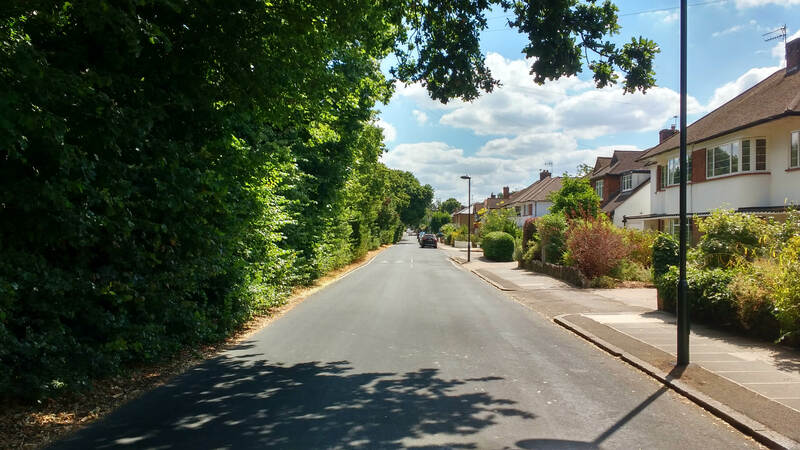 We explore the new path from Twickenham Station to reach Crane Park where we ride both the Whitton and Hounslow banks before returning to Kneller Gardens . (Tea ?) where we divert to Twickenham Riverside ( soon , we hope, to be less car-dominated) and return via Orleans House, Marble Hill and Turner’s House. This is a working list of things in the borough – of different sizes – we would like looked at. This page is a work in progress. You can read some of the supporting documents on our Cycling Links page. 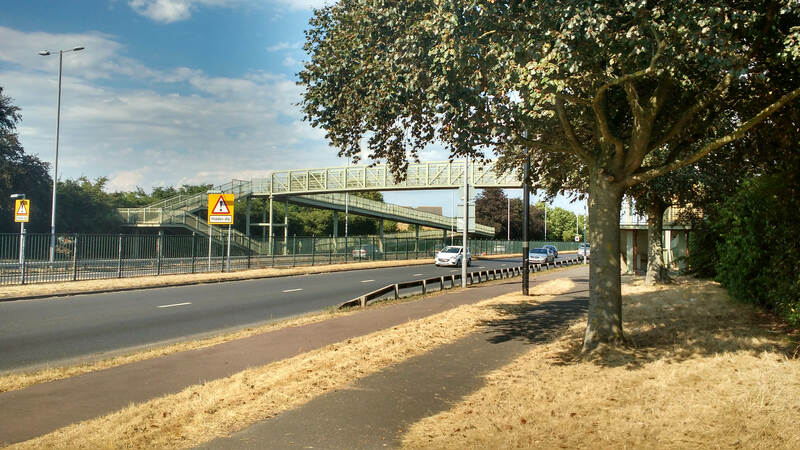 C1) A305 Richmond Road (j/w Aragon Rd – Richmond Bridge) Part of the corridor studies. All of these have had quite a bit of analysis, and we’d like to know what has happened to them, and if there is any schedule for what will happen. C2) A305 Sheen Road (j/w Church Rd to TLRN URRW) Part of the corridor studies. This had had quite a bit of analysis done, but it’s not clear where it actually is. A316 quietway This route needs upgrading and finishing. 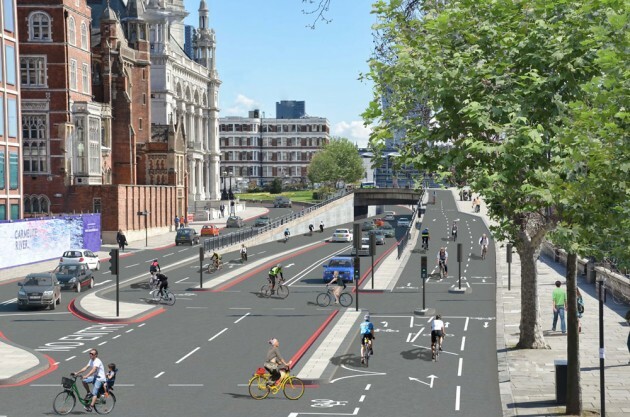 TfL has looked at this, and it has ceased to be planned for a CSH. Kew Gardens Station It should be possible to walk and cycle from here to the Gardens. 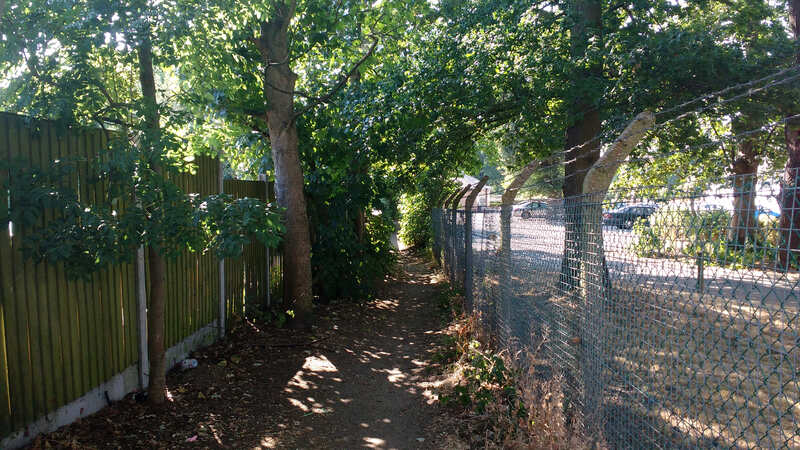 Palmerston Road Rat running from Sheen Lane – how does this affect the wider area? Rocks Lane Part of a school route for some. Twickenham Bridge Where the A316 crosses the Thames there are steps down to the tow path on both sides of the river. 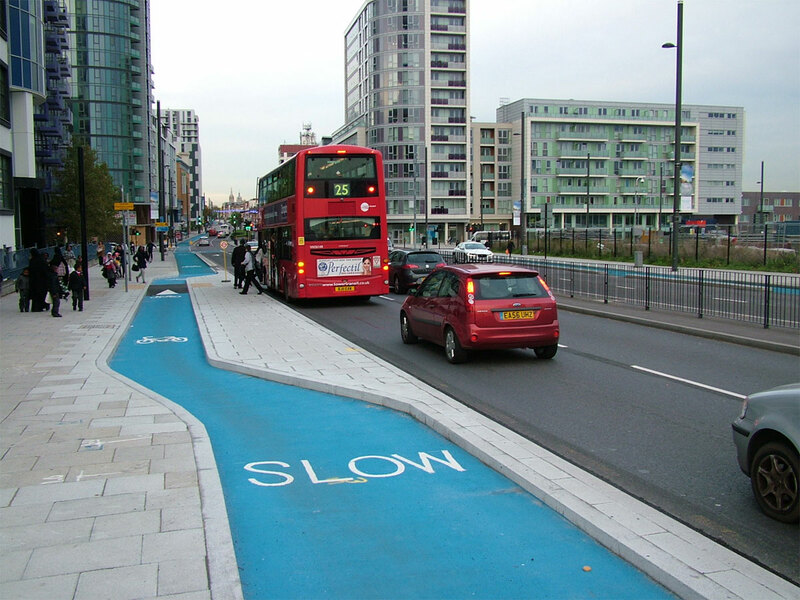 There are cycling routes along the banks of the Thames and also on the pavement on both sides of the A316 but without a cycle ramp it is really hard to connect from one to the other (especially on the Richmond side of the river. Ideally there should be a bike channel on each of the 4 flights of steps. Northcote Road footbridge No channels needed, but bike accessibility is poor. Cricket Lane, Hampton Hill Signage to make clear it is two way, at least for cycling. Most motor traffic goes one way, from a car park exit, leading some drivers to think it is a one-way street and be uncooperative or abusive to cyclists going the other way. Embankment, Twickenham Add signage/markings to show that the cycle route continues through sections closed to motor traffic. 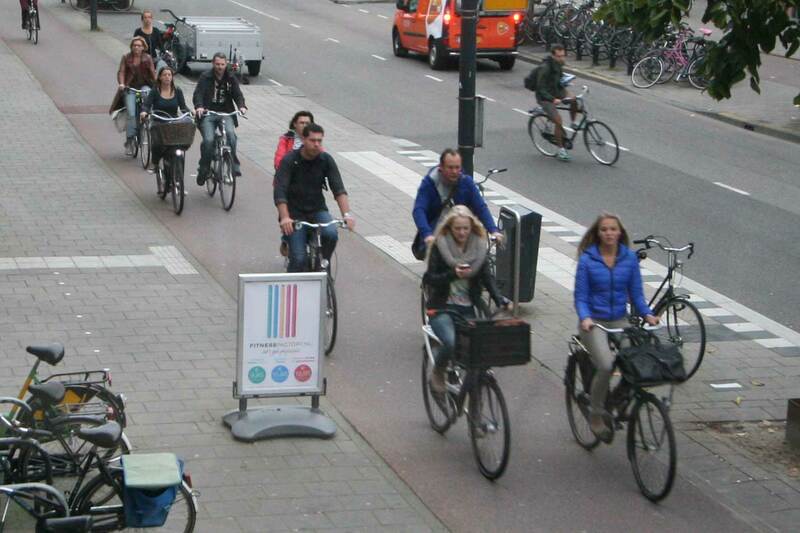 Also to clarify that this is two way for cycling. Just 3 of us turned up on a Sunny Twickenham Riverside. The shady banks of the Hogsmill were welcome and we kept up a fair pace which provided a cooling breeze. The Tea Rooms at Brockets Farm were unusually quiet and the tracks where we usually encounter mud were dry this year. Back in Twickenham before 3 – is this a record.